Sopheap Chak is the Executive Director of the Cambodian Center for Human Rights (CCHR), one of the leading human rights organizations working for the promotion and protection of political and civil rights in Cambodia. As one of the country's most prominent human rights advocates, Sopheap's work has been recognized by US President Barack Obama. Sopheap holds two Bachelor’s Degrees in International Relations and Economics and a Master’s Degree in International Peace Studies, which she completed at the International University of Japan. 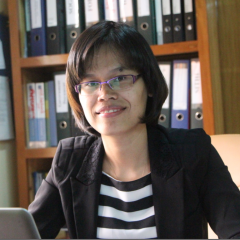 As one of Cambodia's leading human rights bloggers (http://sopheapfocus.com/), she is also a contributing author to Future Challenges and Global Voices Online. Sopheap also ran the Cambodian Youth Network for Change, which mobilized young activists around the country for greater civic engagement.